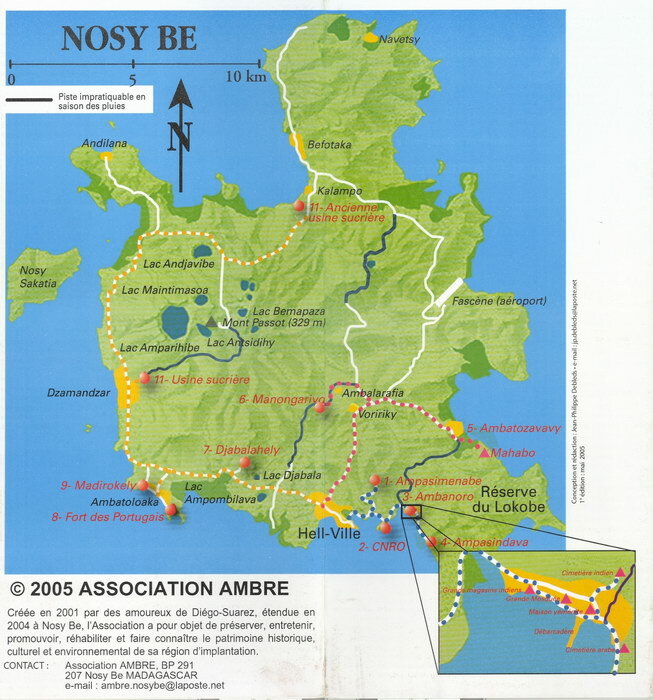 This colour leaflet is the second in a series of tour routes around Nosy Be published by the Association Ambre. This one guides tourists on three road tours of the island of Nosy Be. The route is indicated on a map and the text gives a running commentary on the important sights encountered en route. Several photographs illustrate the sights mentioned.